Have you checked out our wonderful new selection of printable christmas cards? Its all free no registration required so go ahead and take a tour – print one for your friend family or neighbors. 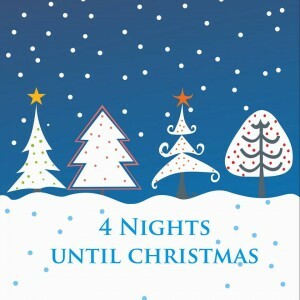 Did you know that we have over 75 printable Christmas cards on Gotfreecards.com? And the best part? All of them are free. So, why wait? Go ahead and create beautiful greeting cards for your friends and family, print them out at home in minutes and watch the delightful smiles on the faces of people as they open your personalized, printable cards. Click on the Printable Cards tab on the top menu of the website. On the left menu, scroll down to ‘Christmas’ and click on it. Browse the cards in the section and select the one/s you like. Besides the vibrant Christmas themes featuring Santa, mistletoe, Xmas trees and presents, you’ll see that there are several printable cards that can be colored in which make great holiday projects for kids. There’s nothing grandparents, uncles and aunts would love more than greeting cards personalized by the kids they adore. When you’ve chosen a card, simply customize the front and inside so it looks the way you want. You can rotate and reposition the image on the front. Add text, stickers and even a picture to make your card more personal and interesting. Choose from different text colors and fonts and several attractive sticker options. Note that there are two ways you can print your card – one-sided and front and back. Preview both options and choose one you like. When you’re satisfied with your printable card, go ahead and print it out. Voila! Your home-made Christmas card is ready to be sealed and delivered. In the light of recent events, it’s all the more important for each one of us to live in the moment and enjoy the little joys life throws at us every single day. Any time is a good time to stop and smell the roses. Every moment spent with a loved one is to be cherished. There’s no better time than today to make a special memory with your child and express your love tofamily and friends. And creating a printable Christmas card to share with them is a great way to do it. How many printable Christmas cards will you be creating this year? Wishing you all a wonderful Christmas if you have not sent out your ecards or printable cards you have come to the right place. Somebody please tell me, when did December creep up on me? My “to do” list says it’s time for a Christmas post and I can’t believe it’s just a few weeks away. Some of us are probably not done with Thanksgiving leftovers yet….how could it be time for Christmas already? So, if you’re grabbing your coat and bag to rush out to the mall to find the coolest bargains before they’re gone, wait. These tips could save you lots of time and some hard-earned money. Never buy gifts for people because you have to. If someone is not really very close to you, then why waste time and energy trying to find an inexpensive gift for them that they will probably not use anyway? Too many of us fall into this trap of buying something, because it’s supposed to be better than nothing. I have news for you – it’s not. Unless you really know someone well, know what they might like, feel a special bond and really want to buy a gift for them – don’t. You’d be better off taking them out for coffee or simply wishing them a Merry Christmas in the hallway or the street. They’re more likely to remember and appreciate THAT than a pair of re-wrapped socks. Always make a list and stick to it. Never head out to the mall without a list. It’s one of the most dangerous places to be in as far as your wallet is concerned. One minute you will be going in counting a handful of things you need to buy and 6 hours later you will be walking out with a dozen bags in each hand without a clue as to what hit you. You’ll find more tips on how to make a good shopping list that saves you time and money in the next post. Buy bulk gifts whenever possible. Visit warehouse stores and find bargains on items such as stationary, books, clothes and other items. With one such bulk pack, you could strike off two or three people off your gift list. Use Coupons. Do not throw away the flyers and coupons you receive in your mail, in magazines and newspapers. Clip them and save them. Even if you don’t find anything you like, you could always trade it with someone else who may be looking for those items. A book of neatly organized coupons in itself would make a good gift for a savvy shopper in your family. Do not underestimate the value of FREE! Many of us don’t realize that some of the best gifts are still free. For something to be valuable, it doesn’t have to cost a lot of money. Your time, for example is one of the best gifts there is. There are so many different ways you could use it to make someone else’s day better. You could offer to baby-sit your friend’s or sister’s kids for a few hours. For free. You could spend an hour reading to your nieces and nephews or to your kid’s class. For free. You could drive up to see your grandma in the senior center and spend an entire day with her. Or just take a day off and surprise your spouse, friend or mom at work, take them out to lunch or for a walk. The consumer culture we have all been subjected to has led us to forget the incredible value of free gifts that mean a whole lot more than a shopping bag full of unwanted clutter. And on the same note- guess what else is completely free, creates no clutter and makes your loved ones smile even before they open it? Free Christmas Ecards. And, we’ve got plenty of those here. If you stared out of your window and saw that it was a bright sunny afternoon and a perfect day for hitting the beach in your shorts – would you believe it was Christmas? If you live in the United States, probably not. But in Australia and other places in the Southern Hemisphere, Christmas actually falls in summer when temperatures approach 100 F! So, Christmas in these places, is celebrated outdoors with picnics, beach parties and candlelight carol singing under the stars. Then, take this quiz to see how much you know about Christmas traditions and facts about the holiday and how it is celebrated in other countries. If you were eating rice pudding with a hidden magic almond in it and were leaving out a bowl of pudding for an elf called Nisse so he wouldn’t play too many practical jokes on Christmas, where would you be living? If your kids are impatient to open their presents, tell them about the country where children actually wait until Janurary 6th to open them. It’s the same country, where the evil witch Befana is said to leave coal instead of presents for the naughty kids and where people gather at noon on Christmas to hear the Pope offer his prayers and blessings. Christmas in this country is marked by the arrival of the Christ child Christkindli, a veiled angle who brings gifts. As she enters each house and begins handing out gifts, tree candles are lit. The holiday season in this beautiful country is incomplete without the sternsingers or star singers, who dress up as the three kings and parade down streets singing Christmas carols. Christmas celebrations start early in this country, on Dec 1st or even earlier. On Dec 5th, children leave a boot or shoe outside their homes and the following day, which is St. Nicolaus day, they find in it either presents or a rod depending on how nice or naughty they had been. An advent wreath is laid out flat on a table and a candle is lit each Sunday in December. Three candles are lit in this way and the fourth and last candle is lit on Christmas eve, thus helping kids keep track of the days remaining until the holiday. Where would you be if you were mummering? What’s that you ask? Well, it’s a custom in this country where people put on masks and act out Christmas plays. Their celebrations begin with attending the midnight mass. The Christmas feast, besides including at least two roasted meats, a variety of vegetables and roasted potatoes, is wrapped up with Christmas pudding, mince pies and a Christmas cake that is prepared a couple of months ahead! The day after Christmas is celebrated as Boxing Day, referring to the custom of opening church alms boxes and distributing the contents to the needy. How did you do on your Christmas Quiz? Are there any special Christmas customs or traditions your family follows? Tell us!